The Lifestyle Redesign program uses an occupational therapy model of lifestyle intervention to support people with a wide variety of chronic conditions. The occupational model places an emphasis on understanding the everyday needs and challenges one faces and establishing habits and self-management skills to address them. Studies of the Lifestyle Redesign model among older adults has demonstrated cost-effective improvements in quality of life based on measures of mental health, chronic pain, social functioning, and more. The Lifestyle Redesign approach offers a powerful advantage over many forms of clinical care – it addresses chronic conditions not as isolated diseases but as an integrated and formative part of everyday life for the patients who experience them. USC’s Lifestyle Redesign® program is an occupational therapy treatment program aimed at supporting individuals living with a chronic condition that might benefit from a lifestyle-based intervention. Rather than taking a disease- or condition-specific approach to care, Lifestyle Redesign aims to support patients in developing the skills, habits, and management techniques that can support the everyday needs of individuals. Lifestyle Redesign offers programs for a wide variety of chronic conditions, ranging from diabetes and prediabetes to chronic pain to autism/Asperger’s spectrum among adults and teenagers. Lifestyle Redesign’s model is based around creating personalized intervention plans that can help people develop skills and habits to prevent or manage the complications and challenges of chronic conditions. The model is based on the Well Elderly studies conducted at USC, which used techniques of occupational therapy in a proactive, preventive way to enhance the physical and mental well-being of older adults living independently. The Well Elderly studies featured a primarily group-based intervention intended to address the risks and challenges of aging. Both studies found that individuals participating in the intervention reported significantly better outcomes in mental health, pain, social functioning, life satisfaction, and more. The Lifestyle Redesign program takes the occupational-science based methodology of the Well Elderly studies and applies it not only to the risks and complications of aging but also to a wide variety of other conditions and diseases. Whether focused on diabetes prevention, chronic stress, or ADHD, Lifestyle Redesign’s goal is to deliver any and all non-medication-based interventions and supports that can help patients with their long-term management. The Lifestyle Redesign approach offers a powerful advantage over many forms of clinical care – it addresses chronic conditions not as isolated diseases but as an integrated and formative part of everyday life for the patients who experience them. The occupational therapy approach addresses not just the physiology of a condition but also the way it impacts and matters to the individual. As a result, the personal intervention is able to meet the self-defined needs of the patient, improve patient satisfaction, and increase the opportunity for continued engagement and motivation for both the intervention and overall self-management. Certainly, in many circumstances, there will be challenges for which medication remains the best solution, but effective lifestyle intervention has the potential to address the needs that medication alone cannot sufficiently address, including overall sense of well-being, healthy habit formation, and, in many cases, prevention, either of conditions or their complications. This lifestyle, occupation-based intervention is also beneficial in that it is well-suited to address the frequency with which chronic conditions are co-morbid, as in the case of an individual living with both diabetes and chronic stress. Additionally, the Well Elderly 2 study demonstrated that the Lifestyle Redesign program is cost-effective, functioning at a comparatively low-cost means of improving quality of life and preventing health declines and complications over time. The Lifestyle Redesign model offered in the Well Elderly studies, was primarily group-based and supplemented by occasional one-on-one visits with therapists (once per month during the nine months of each Well Elderly study), which helped make the intervention cost-effective. It should be noted that most Lifestyle Redesign interventions currently offered in clinic are individual-based. 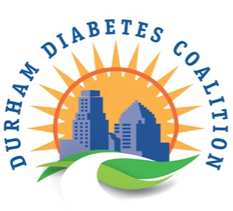 However, some group-based curriculums are offered for weight management and fibromyalgia, and a diabetes prevention group will also be available soon (modeled on the CDC DPP curriculum, supplemented with Lifestyle Redesign’s occupational therapy curriculum). “Patient Care – About Health Coaching,” USC Chan Division of Occupational Science and Occupational Therapy, accessed May 25, 2017, http://chan.usc.edu/patient-care/faculty-practice/about. Jeanne Jackson et al., “Occupation in Lifestyle Redesign: The Well Elderly Study Occupational Therapy Program,” American Journal of Occupational Therapy 52, no. 5 (May 1, 1998): 326–36, doi:10.5014/ajot.52.5.326; Florence Clark et al., “Effectiveness of a Lifestyle Intervention in Promoting the Well-Being of Independently Living Older People: Results of the Well Elderly 2 Randomised Controlled Trial,” Journal of Epidemiology and Community Health 66, no. 9 (August 1, 2012): 782, doi:10.1136/jech.2009.099754.